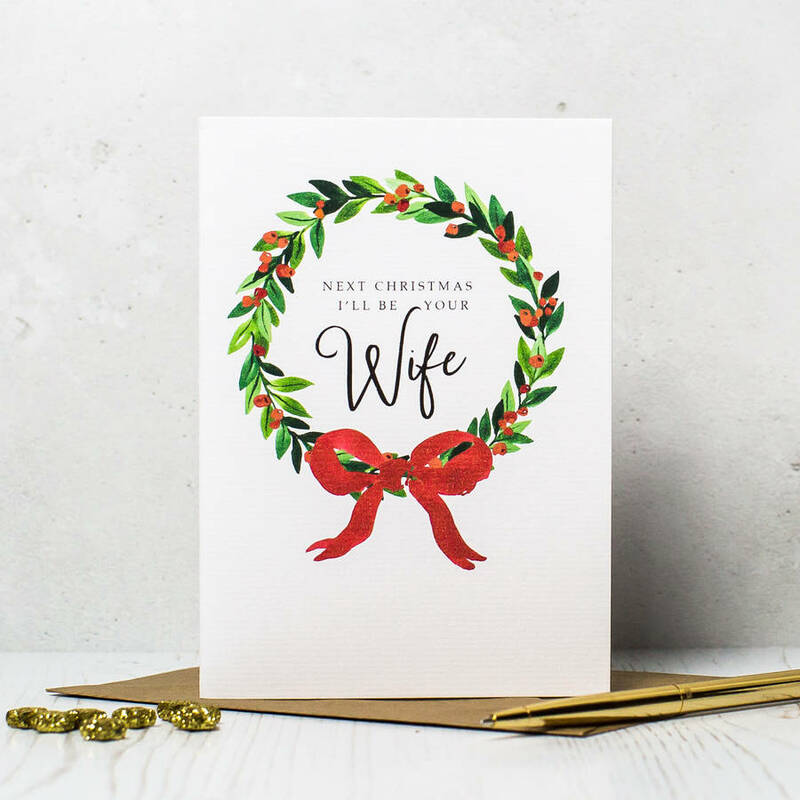 This 'Next Christmas I'll Be Your Wife' Christmas Card is a sentimental way to celebrate your last unmarried Christmas with your other half! This cristmas card to your fiance is beautifully printed on 300gsm textured card which has a soft and luxurious feel to it. Supplied with a red nvelope to add to the traditional and rustic look.